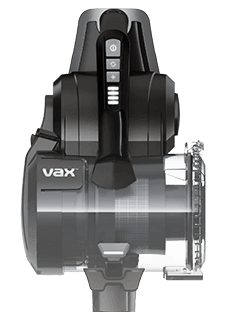 We are Vax Limited, (with registered company number 01341840) (“we” or “us”). Our registered address is at Artillery House, Heritage Way, Droitwich, West Midlands, United Kingdom, WR9 8YB. For the purposes set out in this privacy statement, we are the "data controller" of your personal data (in other words, we decide how your personal data is used). We are committed to protecting and respecting your privacy. This is personal data about you that you give us by filling in forms on http://www.vax.co.uk ,or by corresponding with us by e-mail or otherwise. It includes information you provide when you register to use our site, subscribe to our service, search for a product, place an order on our site, participate in discussion boards or other social media functions on our site, enter a competition, promotion or survey, and when you report a problem with our site. The personal data you give us may include: your name, address, e-mail address and phone number, financial and credit card information, personal description and photographs. We will only request personal data which is required for a specific purpose. We use your personal data in this way either because it is in our legitimate interests to do so (for example, it is in our interests to measure customer satisfaction and 'troubleshoot' customer issues) or in order to carry out our obligations arising from any contracts entered between you and us (for example, when you place an order we will need to process your address to ensure that any goods are delivered). In each case, we will store your personal data only as long as we need in order to provide the information, services or offers you requested or to carry out our obligations arising from any contracts. This is personal data we collect about you during each of your visits to our website. This information is stored exclusively by us to administer our site and for internal operations, including troubleshooting, data analysis, testing, research, statistical and survey purposes and for the control of illegal acts. We reserve the right to check these log files and data retroactively if there is reasonable suspicion of an illegal act due to concrete indications. We do this because it is in our legitimate interests to protect and improve our website and to control illegal acts in connection with our website. This is personal data we receive about you from third parties (for example, if you use any of the other websites we operate or the other services we provide). We also receive some information (including personal data) from Experian for marketing purposes. More information about what we receive and how we use this information is set out below. We use your personal data in this way because it is in our legitimate interests to do so (for example, we have a legitimate interest to ensure that our products, general marketing and websites are high quality, efficient and set up in a way that is most helpful for our customers). to help us predict which of our products, services or offers you might be interested in and to improve our product and service offerings. In partnership with Experian Marketing Services, we may use your address in combination with other information that Experian has about you to place you within a general "customer group" which helps us to ensure our marketing communications are designed to suit your interests. If you would like to find out more about the ways which we use your personal data for in this way or if you would like to exercise your right to opt out of marketing or profiling please contact info@vax.co.uk or write to Vax UK at Vax LTD (UK), Customer Contact Team, Artillery House, Heritage Way, Droitwich, West Midlands, United Kingdom, WR9 8YB. Most of the cookies we use are so-called "session cookies". They are automatically deleted after your visit to our website. Other cookies remain on your device until you delete them. These cookies allow us to recognise your browser at the next visit. It is in our legitimate interests to process your personal data in this way in order to improve our website and our customers' experiences. We only process pseudonymised data in this regard upon your visit of our website. You can delete cookies on your device at any time and once they are deleted we cannot process any information contained in a cookie. Please note that the functionality of this website may be restricted when cookies are deactivated. We take the security of personal data seriously and use strict procedures and security features to prevent unauthorised access. All personal data you provide to us is stored on our secure servers. Sharing data with service providers: We work closely with third parties who provide services to us for specific functions where it is not efficient, or we do not otherwise have the capability to provide these services ourselves (including, for example, technical payment and delivery services, advertising networks, analytics providers, search information providers, credit reference agencies). It is in our legitimate interests to do this in order to ensure a high standard of customer care and the efficient running of our business. Sharing data within our group: We are part of a part of a global group of companies that share some operations and business processes. We may share your personal data with any member of our group in order to fulfil our contractual obligations to you, or because it is in our legitimate interests to do so (for example we share financial reports and other progress reports with our sister companies). Sharing data in connection with changes to our group structure of the ownership of our business: If we sell or propose to sell our business or part of it, we may need to disclose your personal data to prospective buyers. Similarly, if there are changes to our group structure or if our ownership changes, we may need to disclose your personal data to the new owners or operators of this site or any of our apps as part of that process. Sharing data to comply with laws: There may be scenarios where we are subject to a legal obligation to disclose or share your personal data, such as with law enforcement agencies or public authorities in order to prevent or detect crime. Sharing data with partners outside of the UK or the European Economic Area: Your personal data may also be processed by third parties and staff operating outside the UK or the European Economic Area who work for us or for one of our suppliers. This includes third parties and staff engaged in, among other things, the fulfilment of your order, the processing of your payment details and the provision of support services. Where your personal data is processed outside of the European Economic Area or the UK, we will ensure that appropriate safeguards are put in place to ensure that your personal data is protected. If you would like more information about who we share your personal data with and for which purposes, please contact us using the contact details below. We will retain your personal data for the period necessary to fulfil the purposes outlined in this privacy statement unless a longer retention period is required or permitted by applicable law. This means that the time we hold your personal data will vary according to the type of personal data and the reason we have it. You have the right to obtain information about the extent we process personal data concerning you or not. You have the right to access the personal data we process relating to you, in particular, the following information: stored data concerning you, purpose(s) of the processing, categories of data, recipients to whom we disclose data, duration of the storage. You have the right to request the rectification of any inaccurate or incomplete personal data relating to you. You have the right to request the deletion of your personal data from us in some (but not all) circumstances where there is no good reason for us to continue to process it. Where we rely on your consent to process your personal data in a certain way, you have the right to withdraw your consent concerning such processing of your data at any time. You have the right to object to the processing of your personal data in some (but not all) circumstances. You have the right to request the processing of your personal data to be restricted, for example, you have the right to ask us to temporarily stop using your data in a certain way if you don't believe that we have a right to use it. You have the right to receive the personal data concerning you which you had provided to us in a structured, standard and machine-readable format, and to transmit this data to another controller. You have the right not to be subject to decisions made solely on the basis of 'automated processing' (i.e. the right not to be subject to decisions made solely by algorithms or computers within input from a human) in certain circumstances. You may assert your rights by contacting us under the contact details listed below. You also have the right to complain about our use of your personal data. You can contact the Information Commissioner's Office via their website: https://ico.org.uk/concerns/ or by calling 0303 123 1113. Submit a Data Subject Access Request here Web Form.